You’ll have to balance the needs of your employers with the needs of your guests, deal with multiple event vendors, and constantly make compromises to ensure your event is a huge success. When starting any event planning, budget is the most important fact and is the starting point. After all, you can’t start meeting event space or service vendors without knowing how much you can spend. Setting your budget early will help you keep things in perspective as you plan your corporate event, ensuring you don’t spend too much money on the event or end up spending in the wrong areas. 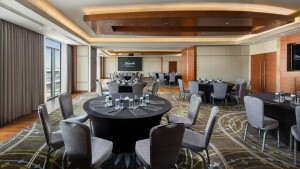 Once the budget is determined, it then gets easier to set the goals for the corporate event. They definitely have to be specific & realistic in nature. For. E.g. Are you hoping to wow potential clients or investors? Are you looking to impress the public with a big announcement? Or are you hoping to raise money for a corporate charity fund? Setting your goals will determine what kind of corporate event you should organize and dictate where to spend your budget in different areas. When searching for a banquet hall or event space, it is important to determine the capacity. How many guests can comfortably accommodate? Consider your guest list, and the number of people who will be attending the event. Choose the hall that best suits the size of your event. Remember, larger event spaces and halls can always be scaled down to accommodate smaller groups with a cautious use of furnishings and decorations. Venue’s location is also very important. Now, if you find a few hotels or event venues located on the outskirts of city, we would recommend not to get too excited about that. They may be well appointed, and available at a great price. Before you make a decision to book it, think about your guests. Is the venue far away which might discourage your guests from attending the event? Is the Banquet hall too difficult to find? Is it accessible by mass transportation like the Metro or the public bus system? You wouldn’t want all of your spending of the event to go in vain. 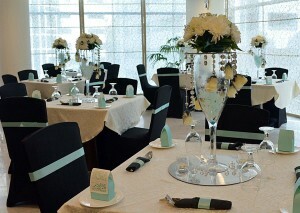 Best to always think about your guests and make sure that the venue is not too far. Selecting the venue while using a map and geo location is a plus. booking a banquet hall. Remember how you set goals for your event in the beginning? You should be able to procure a quote directly online to save you the hassle of calling different venues, getting pictures, prices, amenities, locations, and menus when you can do it all online. fluidmeet is your one-stop shop for event spaces and banquet halls. 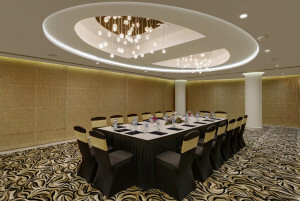 We provide you a list of banquet halls and event spaces which cater to your needs. You can browse though hundreds of listings and filter by capacity, location, venue and price. 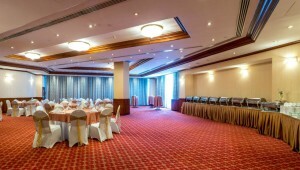 We would give you options for event spaces and banquet halls in Dubai so that it’s easy for you to make that decision. Visit us at www.fluidmeet.com and directly inquire online for your event quote and we will surely call to assist you with your needs!